Baking is more fun with a friend or with your child. My youngest daughter who just turned 9 years old wanted to bake this brownie recipe to try it out. She has a bit of a sweet tooth like me. These Chocolate Cheesecake Brownies are a perfect dessert to allow you to sample two yummy desserts in one! My little helper is great about gathering all the ingredients. She is also able to help measure some of the items for me. Sometimes it does get a little messy having a helper and it would be faster doing it myself…but I have to remember these will be great memories in the future. Swirl, swirl, she had her own method of swirling the cheesecake and brownie mixture together but it turned out great. 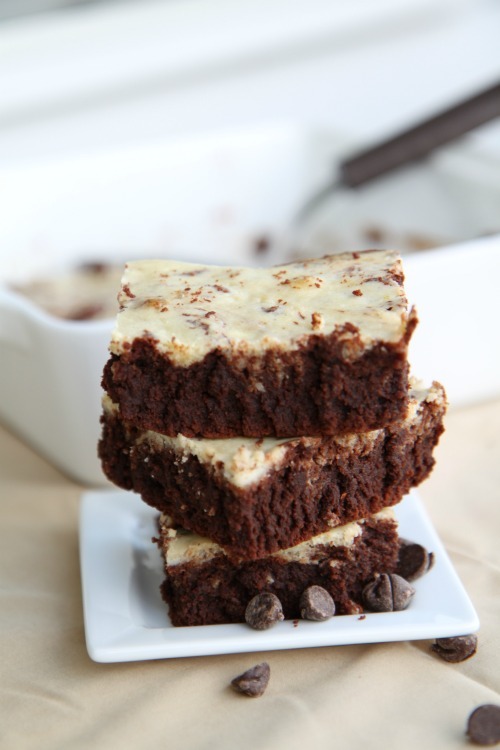 Like she said, you can’t go wrong with cheesecake AND brownies! 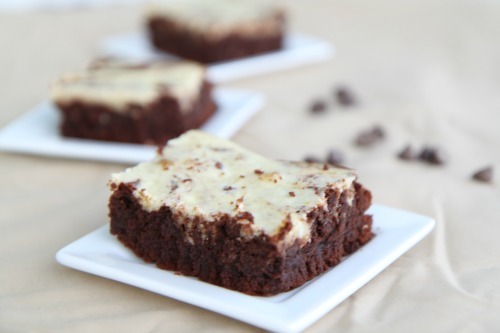 This Chocolate Cheesecake Brownie recipe are super moist and delicious! You will probably want to double this recipe because these brownies will be gone in no time at all! Spray 9" square baking dish with non-stick cooking spray. In a large microwave safe bowl, cook butter and chocolate chips until smooth, cooking at 25 second intervals. Add eggs, sugar, and vanilla extract and blend until smooth. Add in the remaining ingredients and blend until smooth. Spread brownie mixture evenly into baking dish. Top with the cheesecake mixture. Swirl the cheesecake mixture into the brownie mixture. Bake for 30 minutes or until toothpick comes out of the center clean. These are going on the must-try soon list! Thanks for linking up with What’s Cookin’ Wednesday! These look so good! I’m so pickly on the texture of my brownies but these bad boys will sure please me!! It does smell soooo good!! !